The new 149,000 sq. 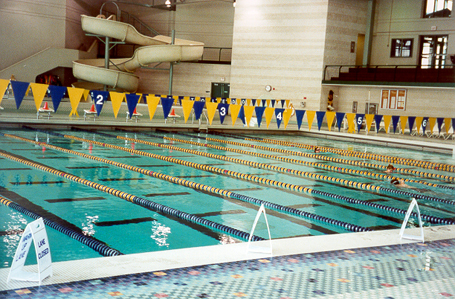 ft. Gordon Student Recreation Center, designed by the team of Hastings & Chivetta Architects and Counsilman-Hunsaker, created a plan to seamlessly blend two bodies of water to make the space as functional as possible. The end result is a diverse design that encompasses a variety of interests of the students.